We are delighted to let you know that ScreenCastsOnline has published an extensive video tutorial on Pagico 8. This is an incredible, 60-minute in-depth tutorial (!!!) that covers literally everything that Pagico 8 has to offer. Ranging from high-level feature overviews all the way down to keyboard shortcuts, various ways to get things done, and tips to speed up your workflow. ScreenCastsOnline is a highly respected video tutorial service that has been around for over 11 years and has produced hundreds of high quality video tutorials. For this particular episode on Pagico 8, you can purchase it individually, or sign up for a ScreenCastsOnline membership to get access to all of their tutorial resources. 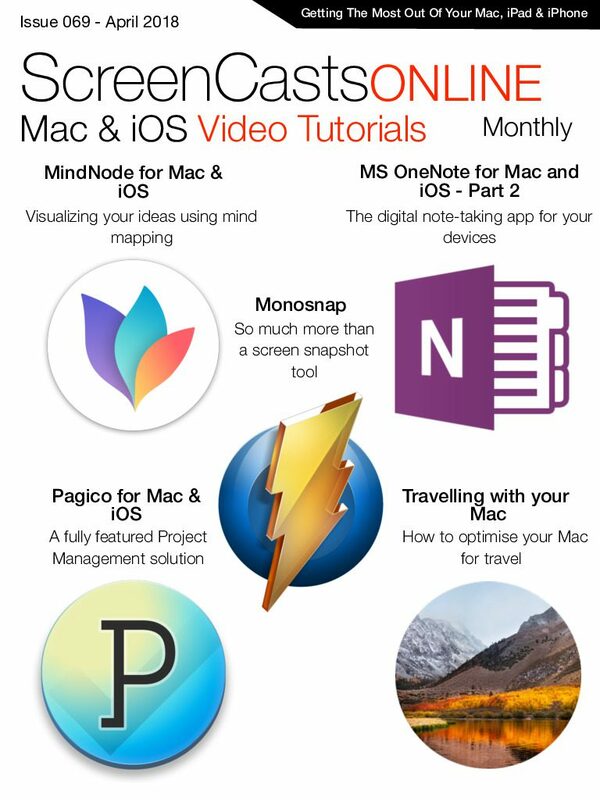 The video tutorial is also available in their monthly magazine on the iTunes AppStore. You can sign up for a free trial for the magazine to access the full-length Pagico 8 tutorial at no cost, and decide whether or not to keep the subscription later. We are extremely impressed by the quality and details that this video tutorial offers. You should absolutely check it out. Kudos to SCO and Don for the awesome work! The new Help website for Pagico is now online! Now we’re excited to let you know that the new Online Help website which is dedicated to providing help, tips and tutorials for Pagico users, is now online! With richer content, easier navigation system, we’re replacing the original “tutorials section” with this whole new website. Visit the Online Help for Pagico now! Now the Pagico 3.2 (beta) is slightly updated, too, addressing some help-related fixes, and a minor fix on the UI of contact profiles.